Grey Oaks celebrates the natural beauty of Florida at every turn. 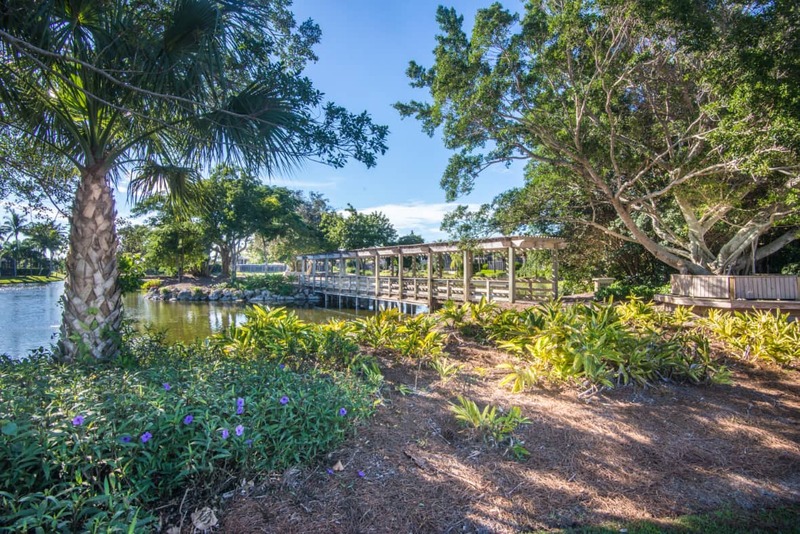 The serene botanical island grants entrance to nature lovers via a bridge lined with vibrant red Passion Vine and embraces them with colorful perennial flowers surrounding the lake banks. Naturally attracted to the perennials and the Pink Cassia tree, butterflies flutter about the garden. Vining Railroad plants were trained to weave through areas on the backside of the garden. Their lavender flower will appear early spring and will put on a brilliant show for some of the residents on Banyan Island. Bring a book or a picnic lunch and enjoy the peace and quiet on one of Grey Oaks Botanical treasures.